If you can't eat it, don't put it on your face. The Japanese know what's up when it comes to skin care—just one look at any run-of-the mill convenience store stocked with travel-size bottles of facial wash and sheet masks will tell you that. But while their innovative products and disciplined moisturizing habits are well-known, what's even more potent is their ability to include skin care in their cuisine. We all know Japanese is a popular cuisine, but what we don't know is all the health benefits attached to eating their way. If you want to score the same flawless complexion, try adding these foods to your diet, stat. Present in a lot of Japanese dishes, seaweed can help prevent acne and the swelling it comes with. It has anti-inflammatory properties and can also be used as a natural exfoliant for dead skin cells. Usually taken during meals, green tea promotes digestion and helps detoxify the body. It can also be a good source of antioxidants and polyphenols, a component that can help delay the signs of aging. There's a reason why the Japanese love their tofu. They contain vitamin E that helps the skin's renewal process and can also reduce discoloration, dark spots, wrinkles, and even fine lines. Nobody likes being bloated. You know that puffy look we all get right after eating big amounts of salt? A bowl of buckwheat noodles can help draw out the excess liquid in your body and drain that dreaded puffiness. You have one more reason to indulge your sushi cravings. Including fish in your regular diet can make your skin feel more moisturized thanks to its omega-3 fatty acids. Salmon and tuna, which are most commonly used in sushi or served as sashimi, are particularly rich in this. The Japanese are known to have one of the healthiest eating lifestyles, and it definitely shows on their skin. Just like other parts of their lifestyle, they practice meticulousness on their diet, and we can all learn a thing or two from them if we want the same flawless complexion. While you're at it, try applying the same practice to your beauty routine, too. Shiseido's new skin care line, which was made especially for the beauty-conscious millenial, is a good option. 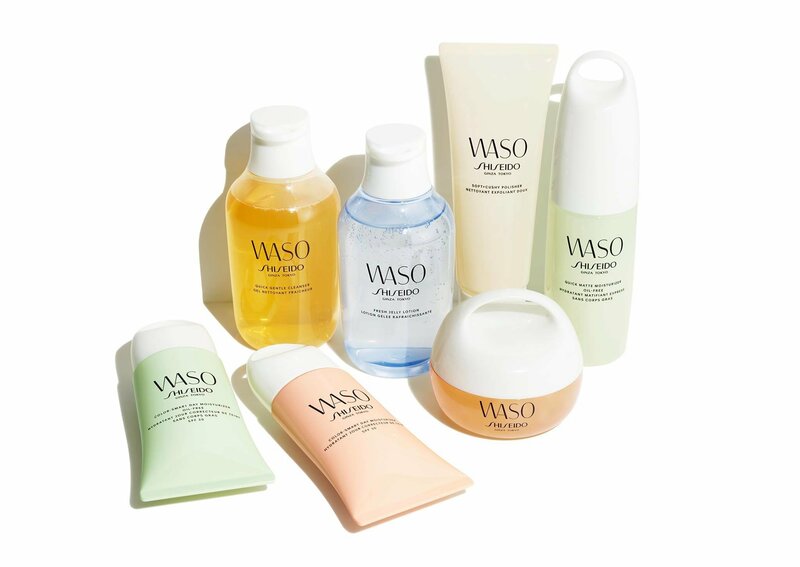 Called the Waso, the range is made from Japanese ingredients like tofu, honey, and loquat leaf, and draws from the power of nature to help nurture the skin back to life. The skin care line was inspired by the traditional Japanese cuisine Washoku, which uses natural and seasonal ingredients blended in a harmonious fashion and satisfies the senses. The line works by building the skin's resistance to common beauty problems like oiliness, visible pores, dryness, and dullness. Watch this video or check out their Facebook page to know more about this new beauty must-have. This article was created by Summit StoryLabs in partnership with Shiseido.